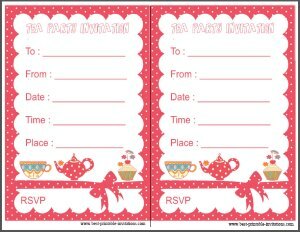 Do you need a kids tea party invitation? You are in the right place. 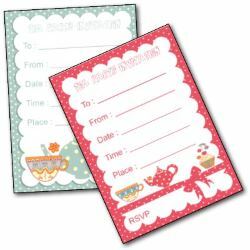 These pretty invites feature polka dot teapots - and of course, cup cakes! Two lovely designs will make it hard for you to choose! 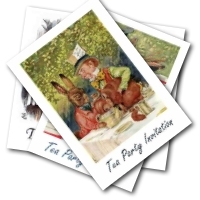 Tea parties are such a lovely way to celebrate a birthday, and make a really special kids party. They are so reminiscent of days gone by, and there are so many wonderful themes you can use. 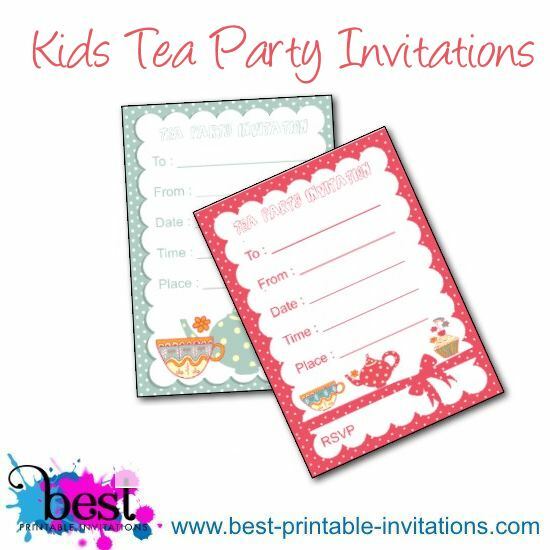 When my daughter wanted a tea party for her special day, I knew she would need special invitations to invite her guests. I came up with two! Which will you choose? This first design is a pretty polka dot and ribbon style. Compete with teapot, teacup and cupcake! 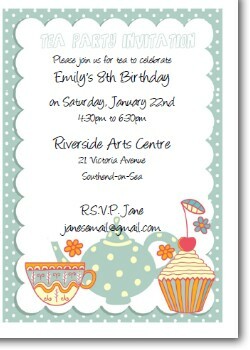 This is a very feminine invite, perfect for a little girl birthday. Fallen in love with this design? 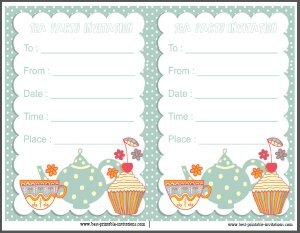 Why not have it printed and delivered as an invitation card (and envelopes). 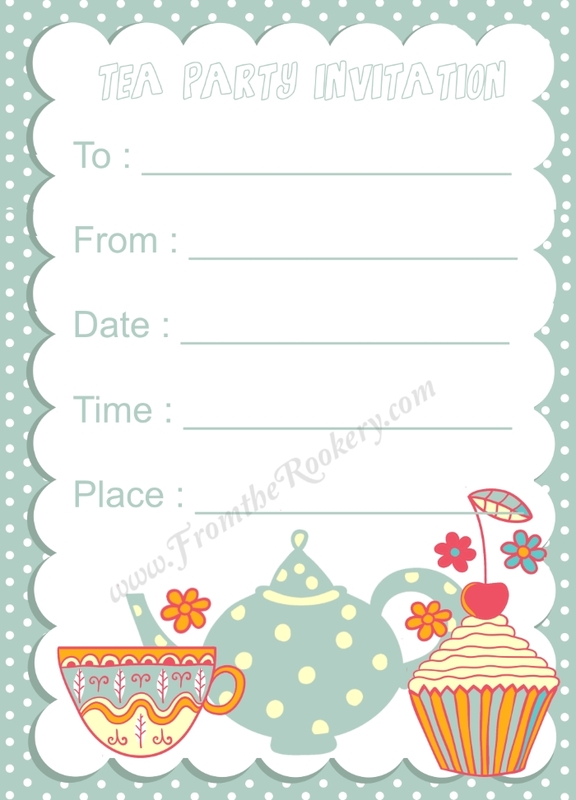 Fill out your party details and decide which size you would like. Pick a paper type and have it sent straight to your door. 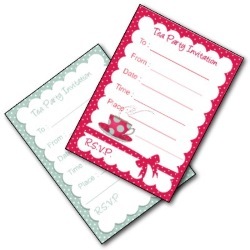 Light and whimsical, this second invite has a lovely cloud design to it. 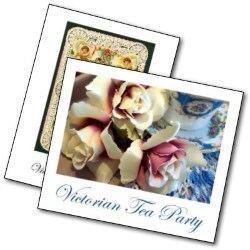 Again, it features teapots and cupcakes, but they are larger in this invitation. Save time writing out your invites! 1. 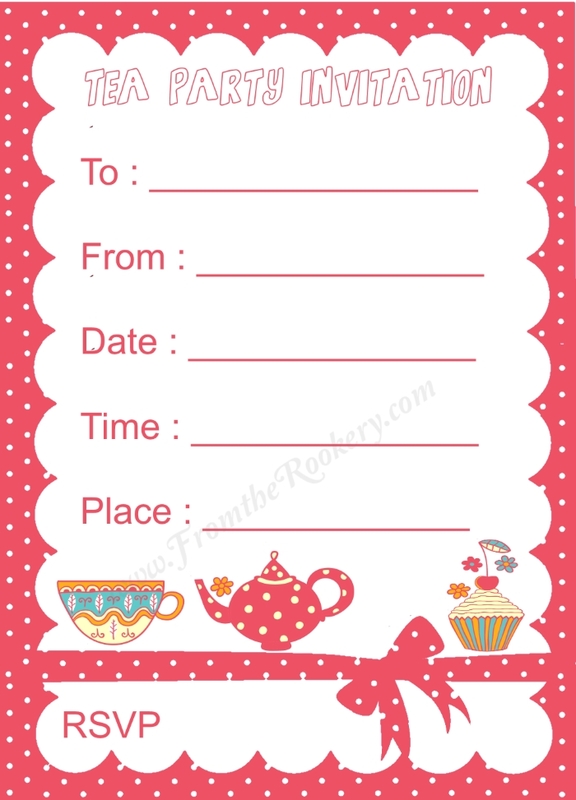 Fill out the form below with your party details. 2. Preview (and print!) until you are happy with it. 3. 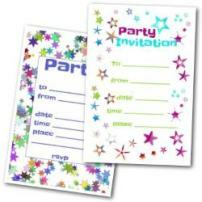 Click 'Buy Now' for instant download of your personalized invitation. Customize the text to your own party and have this beautiful invite printed for you. 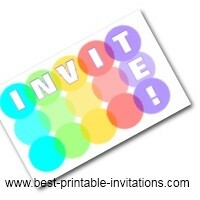 Printed onto 5" x 7" card, each invitation comes complete with envelope. There is no minimum order and a money back guarantee! 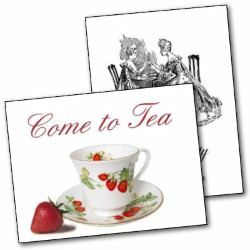 Tea parties can be such a delight for all ages. 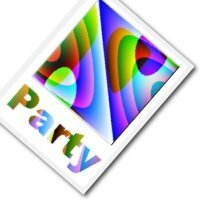 They are one of the easiest parties to theme for children too. Do you need some ideas for your kids party? Try my pinterest board. Follow Julie @ FromtheRookery.com's board Tea Parties! on Pinterest. I hope you love these kids party designs as much as I do. But no? 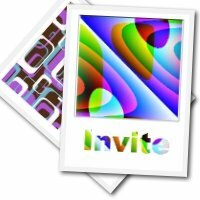 Then take a look at some of my other invites!